Ceramic storage jar, Ching dynasty, China, 31" x 23" x 12.5". 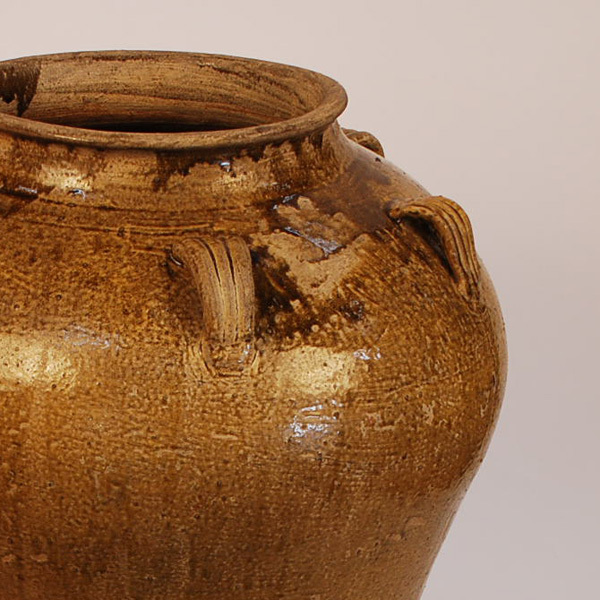 Ochre glazed ceramic storage jar with six appliqued fastening loops used for securing or tying a protective cover or top.· The ochre brown glaze features some darker glaze drip streams and double horizontal incised line detail circle the bottom body. Dates from the mid Ching dynasty (1644 - 1911A.D.). 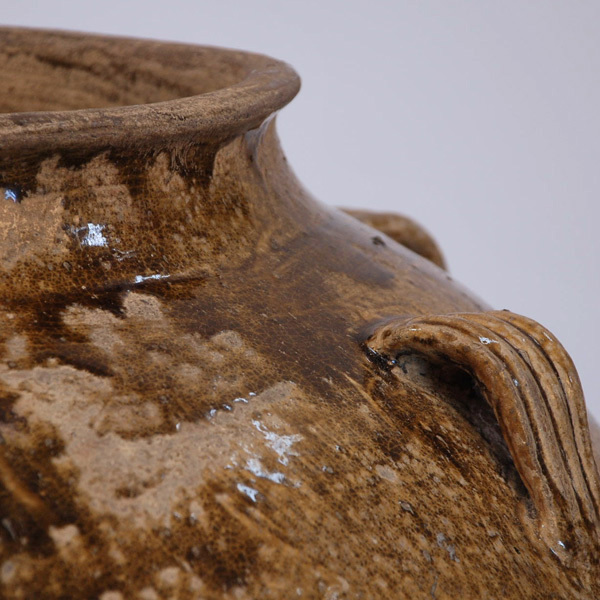 A Chinese export-ware jar recovered in the Philippines. Fired in southern China kilns and dates from the late 19th. 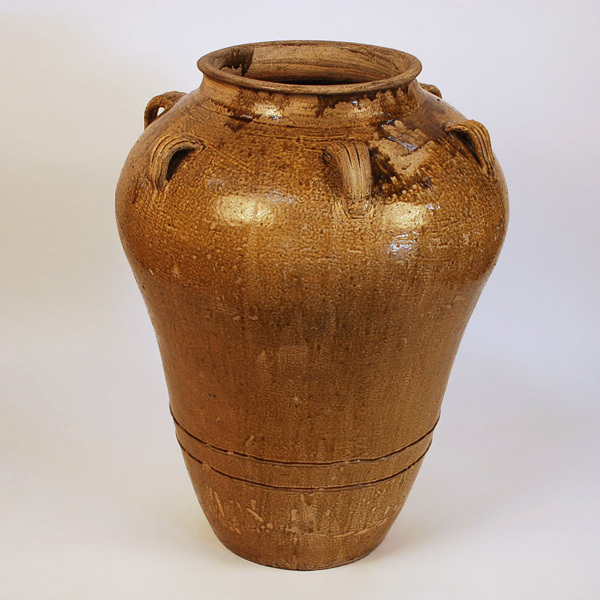 This jar stands an unusual hefty 31" tall, is 23" diameter at its widest point and has a 12.5" diameter foot and is in very good condition.